Botswana, despite its incredible reputation as a premier wildlife destination is also an untouched wilderness of unbelievable diversity. There is no best time to go to Botswana – anytime is excellent. That said, there are a number of factors to consider when planning a Botswana safari depending on what it is you are looking for. The annual floodwaters of the Okavango Delta begin to rise in May (early winter) peaking in July and then receding again until the end of August. The weather is cooler during this period with nighttime temperatures sometimes dropping below freezing while midday is generally balmy. This is the best time of the year for water-based activities such as riding mokoros and boating through the endless channels. Vegetation is sparse making it easier to view the game and the lack of water ensures that the herds congregate at the riverside and waterholes. 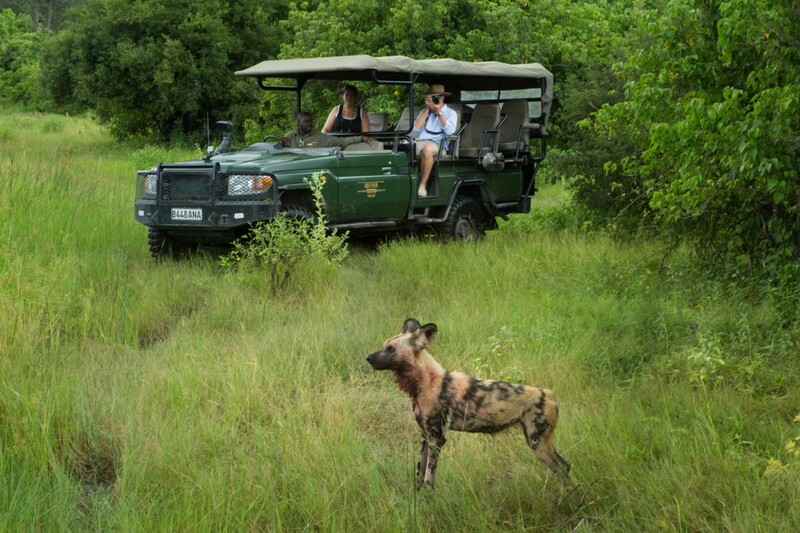 Game drives can be limited in the water-based camps but this is more than made up for by the water activities. The summer months (November to March) constitute the rainy season and temperatures can reach peaks of 35 degrees Celsius. Rain is delivered in spectacular afternoon thunderstorms. This is the time when the migrant birds are resident and extensive game drives are possible. The bushveld transforms into a hive of activity for predators and young herbivores alike and a lush green hue embraces the landscape. Some camps have limited water activities at this time of year. Find out more detail per region below. A magical wonderland at the heart of the Kalahari, the Okavango Delta is one of the world’s most prolific wildlife destinations. The waterways overflow with hippos and crocodiles while herds of antelope and elephant graze the rich floodplains. Dry Winter Season (May to October)- This is an advisable time for water activities and the best time to see the hippo, elephant, buffalo and plethora of other game that call the verdant banks home. Rainy Season (November to March)– Although game viewing is still good it’s not as great as in winter as the bush is very lush and thick. Take care; as you may get rained on during game drives at this time of year! Savuti is situated in the South of Chobe National Park. It’s famous for its quantity and quality of wildlife as well as its jaw-dropping predator sightings. Dry Winter Season (May to October)- The dry winter months ensure the best possible game viewing and predator sightings. Rainy Season (November to March) – The rainy season is green and beautiful promising fantastic bird watching and maybe even a sighting of the phenomenal zebra migration. 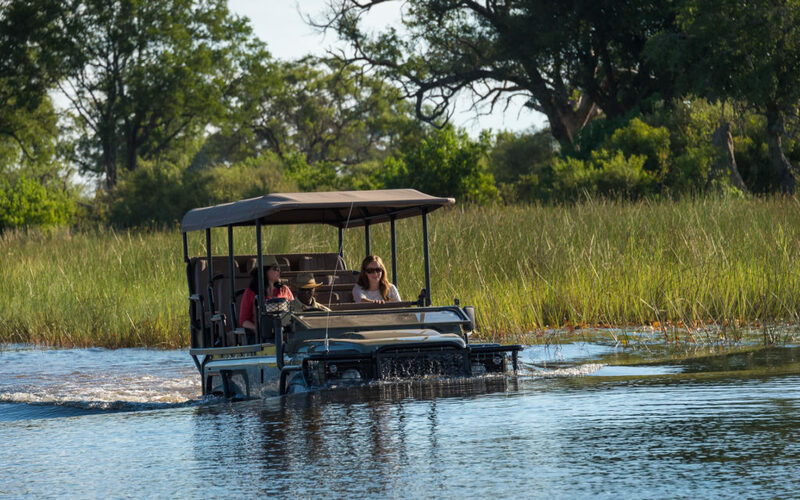 Moremi Game Reserve is truly unique area surrounding a large portion of the Okavango Delta and its patchwork of waterways, islands, grasslands and woodlands. Dry Winter Season (May to October)- The weather is pleasant, mild and dry, the Okavango Delta is in flood and game viewing is brilliant at this time of year. Rainy Season (November to March) – As the rains approach so do the stunning migrant birds and imminent birthing of lambs and foals. Just west of Chobe National Park lies the woodlands and wetlands of the remote Linyanti Region. This is the ultimate in big game wilderness with dry season herds and predators to rival anything you’ll find elsewhere in Botswana. Dry Winter Season (May to October) – Game viewing is best at this time due to the sparse vegetation and lack of water. Rainy Season (November-March) – There is still lots of game but it’s sometimes difficult to see due to the lush vegetation. Whatever time of year you choose to visit magical Botswana you are assured the ultimate African safari and most probably the best game viewing you have ever… or will ever see! Please do let us know if you need any more help with when to go and what to do in beautiful Botswana.